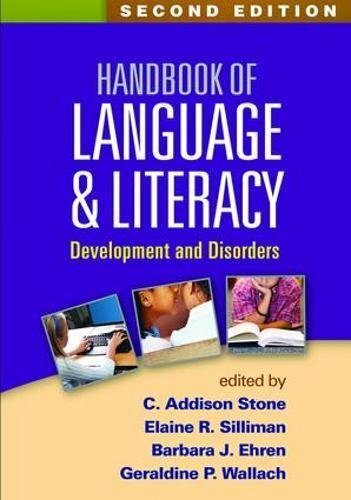 An acclaimed reference that fills a significant gap in the literature, this volume examines the linkages between spoken and written language development, both typical and atypical. Leading authorities address the impact of specific language-related processes on K-12 literacy learning, with attention to cognitive, neurobiological, sociocultural, and instructional issues. Approaches to achieving optimal learning outcomes with diverse students are reviewed. The volume presents research-based practices for assessing student needs and providing effective instruction in all aspects of literacy: word recognition, reading comprehension, writing, and spelling. *Chapters on digital literacy, disciplinary literacy, and integrative research designs. *Chapters on bilingualism, response to intervention, and English language learners. *Incorporates nearly a decade's worth of empirical and theoretical advances. *Numerous prior edition chapters have been completely rewritten. If you have any questions about this product by Guilford Publications, contact us by completing and submitting the form below. If you are looking for a specif part number, please include it with your message.